I made myself a phone case this week!! I'm quite proud of it, so I listed it on Etsy as a custom listing and have already sold one!! So altogether I have had a REALLY good eventful week!! 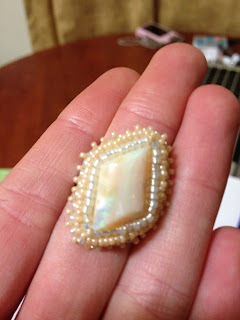 I've been working on my project to submit to Australian Beading Magazine for their June issue, This is frustrating me greatly as I can't seem to get my head around the project that I want to make!! I have so far pulled the necklace apart 3 times and am no closer to getting it finished lol!!! I have made the matching earrings though!! 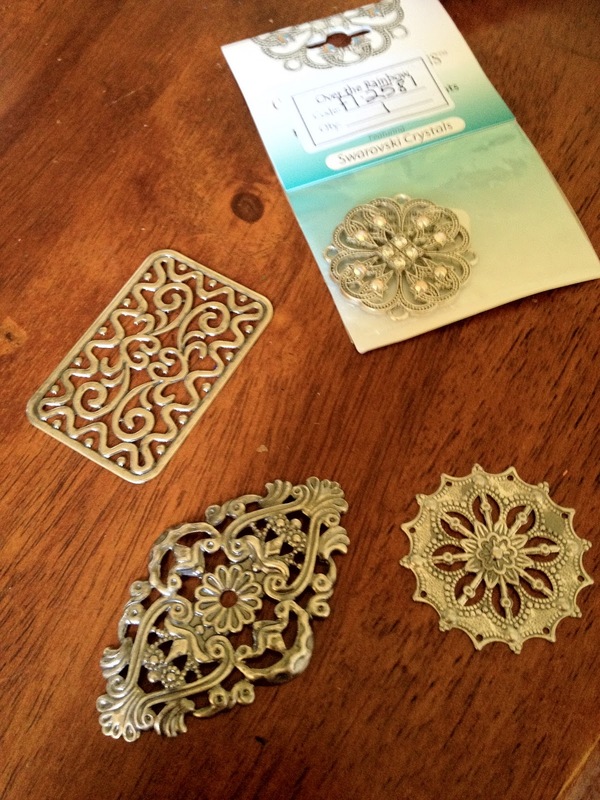 Need to start on my Etsy Bead Embroidery Guilds new Bead Fest, Filigree!! I got my components but I think I got to many as now I can't figure out which one of them I want to incorporate into my design. They are all so pretty I can't make up my mind lol!! 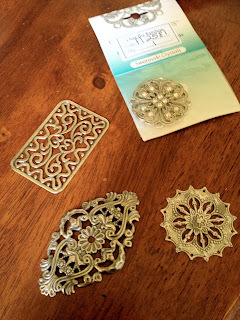 Think I may need to make more than 1 filigree item! !